● Kyle Busch started second, finished second. ● Busch started on the outside of the front row and held the runner-up spot for the first 10 laps. ● After a caution for an Erik Jones spin, Busch vaulted to the lead on the restart on lap 15, a spot he held through his first pit stop of the day on lap 27. 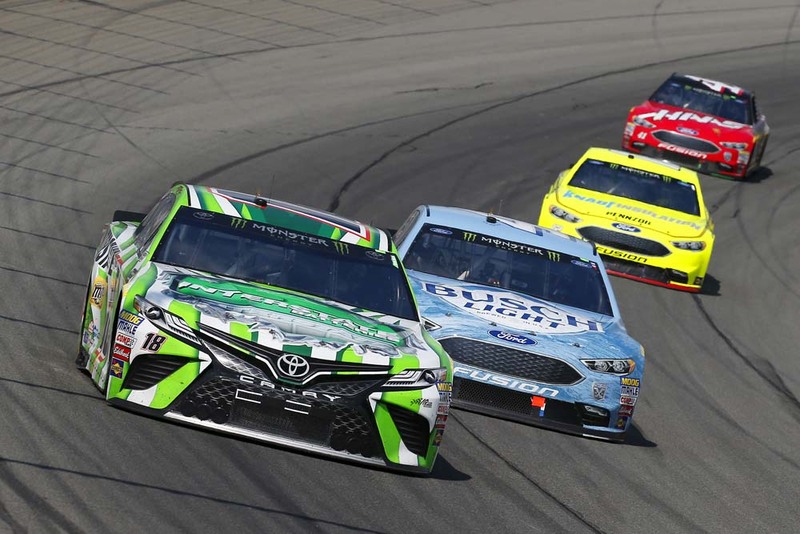 ● On the ensuing restart, Kevin Harvick was able to slip past Busch for the lead and hold it until the end of Stage 1, with Busch finishing second in the stage. ● Started second, finished second. 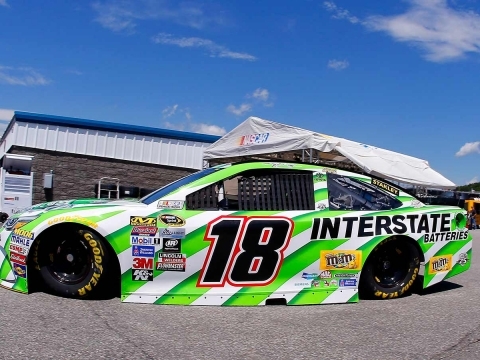 ● Busch radioed to crew chief Adam Stevens that he was too tight on the previous run, so Stevens had the Interstate Batteries team perform a four-tire and air pressure change on the lap-63 pit stop. ● With strategy jumbling the field just a bit, Busch pitted again under caution for fuel only on lap 76 and restarted sixth with several other cars staying out. 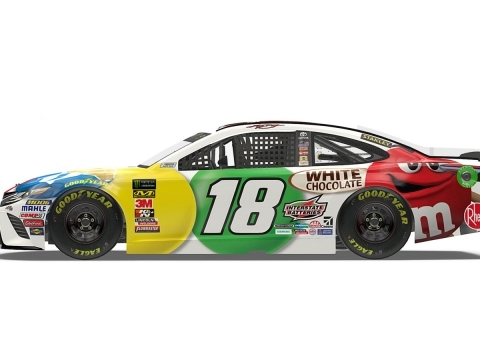 ● Busch moved up to third by lap 91, but he radioed to Stevens that his car was just too free, with his in car trackbar adjuster inconsistently helping the loose condition. 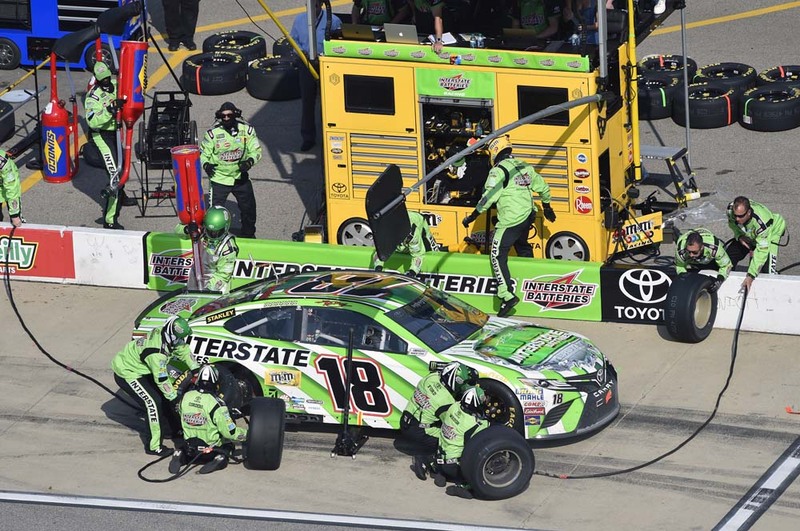 ● Busch moved up to second behind Harvick with eight laps to go in the stage, and he again brought home the Interstate Batteries Toyota in the runner-up spot. ● Started second, finished third. ● The 2015 NASCAR Cup Series champion pitted on lap 123 and exited pit road in second. ● The Interstate Batteries driver radioed to Stevens that he was too tight to start the run and throughout the run, as he fell to fifth on lap 146. ● Busch pitted for the final time on lap 170, and after pit stops cycled out he found himself in fourth. With 10 laps to go he got around Ryan Blaney, and on the final lap he moved around Austin Dillon to bring home a third-place finish. ● Busch led three times for a total of 22 laps. 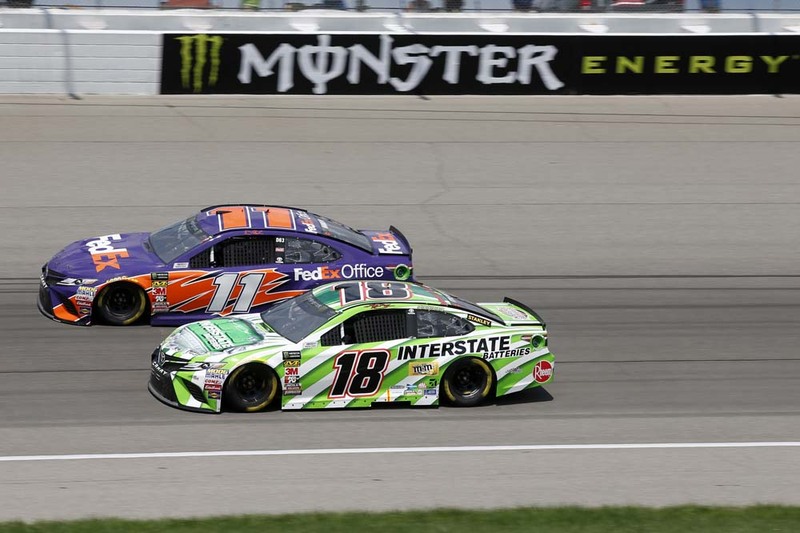 ● Busch finished inside the top-four in both Michigan races in 2018. 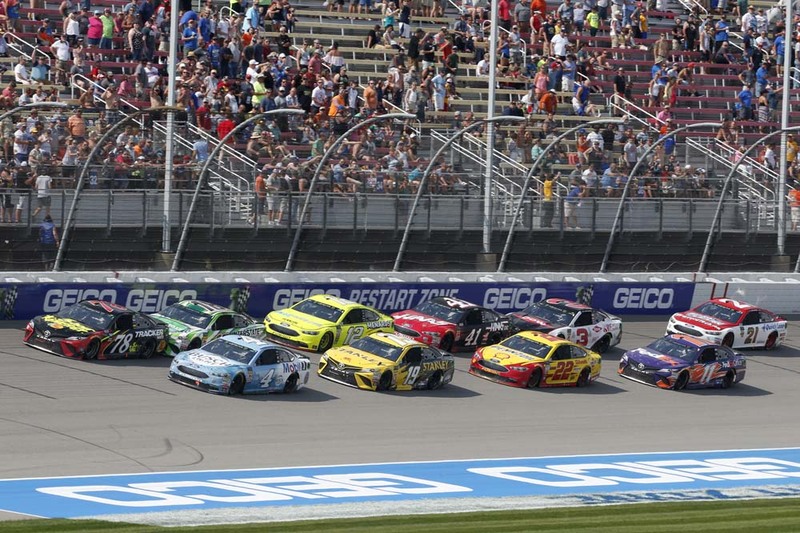 ● Busch’s third-place finish was his 17th top-five finish of 2018 and his sixth top-five at Michigan in 28 starts at the 2-mile oval. ● Kyle Busch finished third. ● Denny Hamlin finished eighth. ● Daniel Suarez finished 11th. ● Erik Jones finished 13th. Next Up: The next event on the Monster Energy NASCAR Cup Series schedule is the Bass Pro Shops NRA Night Race on Saturday, Aug. 18 at Bristol (Tenn.) Motor Speedway. The race starts at 7:30 p.m. EDT with live coverage provided by NBCSN.